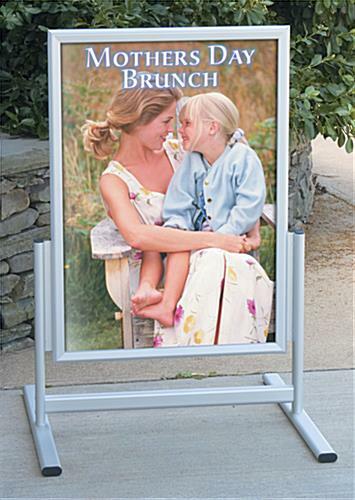 This portable pavement sign is made with an aluminum frame and finished in a satin silver color to get easily noticed. 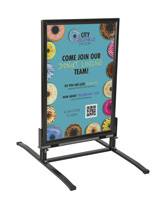 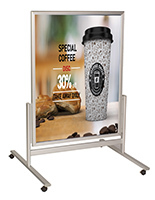 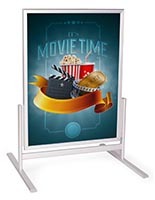 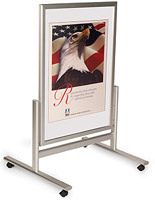 The sandwich boards are able to display 23” x 33” posters ideal for placing next to sidewalks. 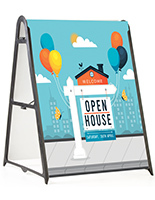 The pavement signs with snap frames on either side made it very easy to change graphics that are already in the holder. 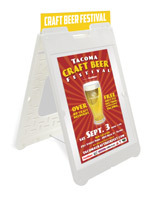 The lightweight sandwich boards can be brought inside when it’s closing time or during bad weather. 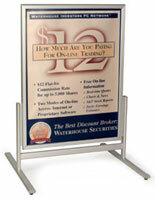 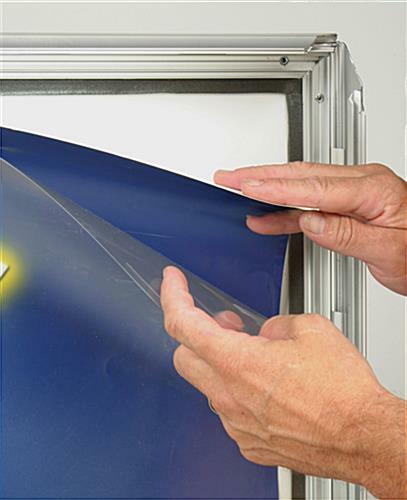 The sign comes with PVC lenses that are water-resistant and will withstand some dampness. 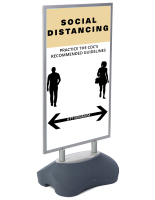 The double-sided sidewalk display is able to grab the attention of passersby from multiple directions to increase business!